Join all-American host Dean Johnson as he takes you step by step through the process of gutting, rebuilding, and finishing the kitchen and bath areas of the home. 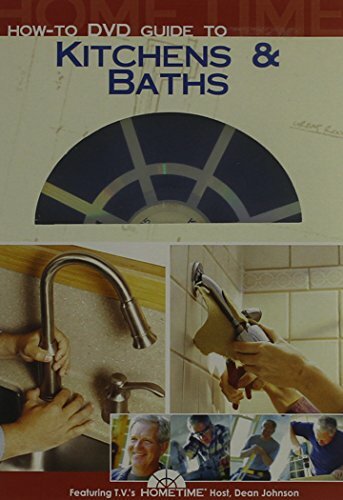 Included in this informational, easy to understand tutorial are the basics of kitchen and bath demolition, rough-in, cabinets and finishing, as well as bathroom tiling; Dean also goes into detail regarding the intricacies of wiring, plumbing fixtures, lighting, and appliances. If you have any questions about this product by Hometime, contact us by completing and submitting the form below. If you are looking for a specif part number, please include it with your message. Compra Y Entrega De Aparatos Electrodomesticos ..facil!